My friend Gabriel Russo taught me that style is a state of mind, and in capable hands can literally be constructed. What I see as the ‘everyday-special’ style evoked by his clothing design- relaxed, well-made, familiar but fresh- flows from the seasoned knowledge born of a steadfast commitment to quality handwork. Russo seamlessly weaves divergent influences into his shirts and jackets, with references to his own past as well as to traditional Japanese textiles and classic Americana. In many ways, Gabriel Russo’s Fall Collection of timelessly hip menswear tells the story of the designer’s journey from Brooklyn street kid to pattern maker and textile designer. 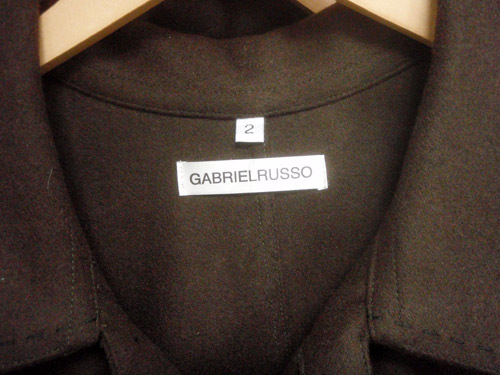 I had the pleasure of an advance glimpse of the new line the other day, and learned a lot about Gabriel’s original approach to the art of designing and making clothing over a meandering conversation at his Richmond-based studio. As a teenager growing up on the mean streets of Brooklyn, Russo made his first clothes to emulate the neighborhood wiseguys he admired, having no money for the real deal. 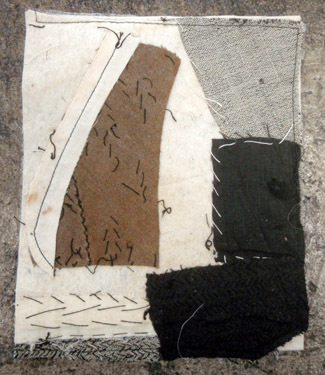 He learned to sew from his mother, a ‘piece-worker’ in the textile industry, and he gleaned materials and know-how while sweeping the factory floor for pocket change. Gabriel’s talents did not go unnoticed and he was soon moonlighting classes at the newly established Fashion Institute of Technology. 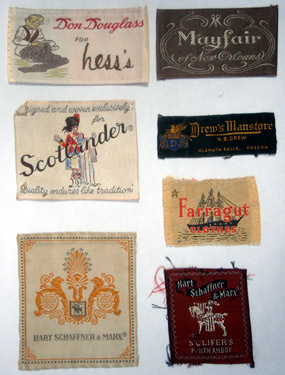 After years hoofing it in Manhattan’s garment district as a fabric cutter, Russo became a sought-after pattern-maker and was eventually hired to manage the fitting and pattern department for GAP/Old Navy, which brought him to the West Coast. He most recently worked as Senior Director of Technical Design for BCBG in Los Angeles. 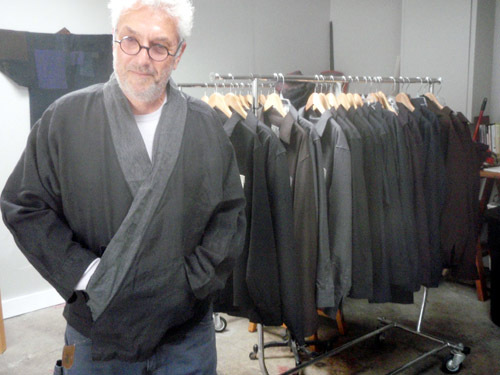 In addition to his admiration for vintage American, regional labels, Gabriel has a fascination with traditional Japanese textiles, particularly the boro kimono. These are mostly from the Meiji period (late 19th century), from Japan’s rural villages where clothing was repaired from whatever fabric was available. 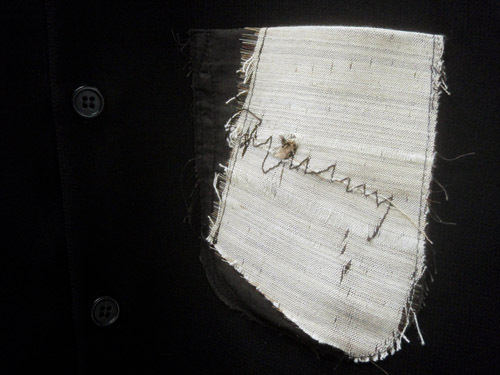 Russo’s new line of men’s shirts boldly appropriate the idea of mending in their construction, featuring breast pockets salvaged from the linings of vintage American suit coats and Japanese kimonos, both of which Gabriel actively collects and deconstructs for this purpose. 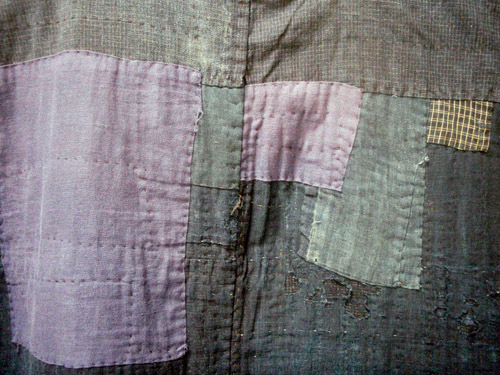 The pockets are like Dada compositions in their own right. Indeed, Gabriel acknowledges Kurt Schwitters as another inspiration, and the shirts feature collage-like labels that match the pocket, adding irresistible rack appeal. Saturday 12-6 & Sunday 12-5. Posted by Scott on September 6th, 2009, at 4:16 pm, and filed under all, INTERVIEW.